Juliette Martin does not ever want to celebrate Christmas again, not when it means reliving the last one after her six-year-old son, Jeremiah, passed away on Christmas Eve. She and husband, Gabe, find themselves snowed in at a mountain cabin with a pair of strays. Juliette desperately needs a miracle to save her marriage and restore her faith in God. Can a stray dog and orphan boy help her believe in the magic of Christmas and the power of love? Hi, I'm Rachelle Ayala and I'm an addict--to writing romances. I'm the founder of a writing group called Romance In A Month where we feed our writing addiction by sharing our progress (in great detail) with our group. I don't write alone, cloistered in a tower, refusing to discuss my story while it forms. Instead, I've developed a method where I and the writers in my group update our story progress with each other every day we write. I've found this process to speed up my writing, because to me, writing is a spectator sport, and like any athlete, when there are spectators, I give a better effort. I put in more hours, I take feedback along the way, either cheers or boos, and in the end, my story is better because I catch missteps earlier. For example, in one story, I had my heroine jump off a pier because she was distraught. My group members commented. This isn't good. Is she going to be injured or dead? Hmmm... also what does this say about her emotional stability? I realized I would go on a big rabbit trail, so the next day, she did not jump. She just had a heart to heart conversation instead of running away. Whew, disaster avoided. 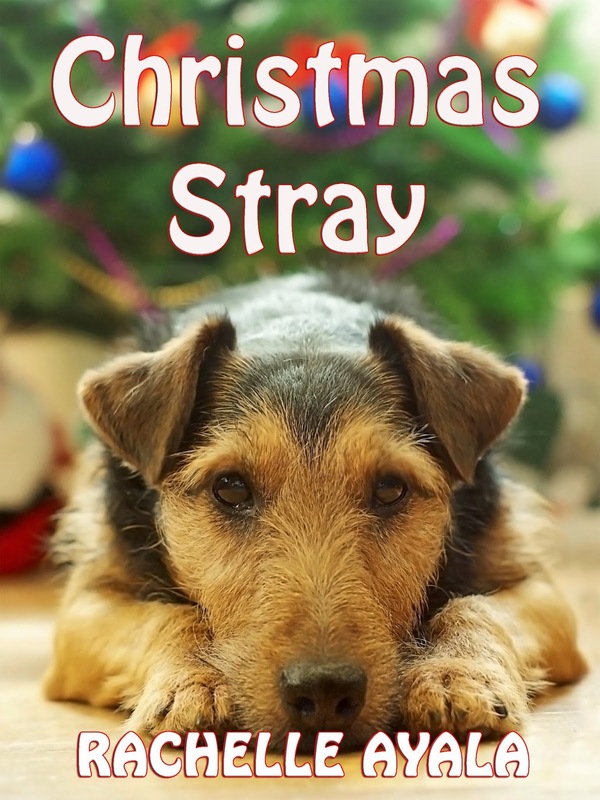 Okay, so, I'm going to tell you how I wrote Christmas Stray in 48 hours. To do this effectively, you need to have the following goalposts or milestones in mind. You can wing all the rest of it, but if you don't know what these milestones should at least look or feel like [you don't have to know the exact details], you'll be lost meandering around writing, erasing, maybe going off on a tangent and then backtracking. What I did was dream up almost the entire story in my mind, minus the details, and then I started writing. I knew I had to get to doorway number one (Lock-in at 25%) relatively quickly, so I made sure they were snowed in. There, no escape. The hook was apparent on the first page. The protagonist, Juliette, gets pissed off at a Christmas tree. Wow. Who attacks a Christmas tree? I immediately show her conflicted emotions. She’s grieving for a son who died of leukemia the day before Christmas a year ago. She doubts that she can repair her marriage, but she’s willing to give it one last shot because she still loves her husband, Gabe. The inciting incident happens in Chapter 2. They find the stray dog and the orphan boy hiding behind the woodpile. The lock-in follows immediately in Chapter 3. Their car is iced up and they can’t open the doors to get their cell phones and then the power cuts off. The first half shows Juliette reeling in grief and not responding well to her husband’s overtures. She’s making them miserable, but for the sake of the child they have good times. They roast chestnuts, read to the child, play with the dog, but the conflict between Juliette and Gabe escalates under the surface. The midpoint (or Reversal) is reached by Chapter 6. It is set up in Chapter 5 when Gabe has decided to separate and go for the divorce. One of my beta readers said this was the earliest ever in a story to start the waterworks. The midpoint happens when Juliette realizes she is the cause of their problems, whereas earlier she was blaming Gabe. It’s precipitated by a mini crisis where the puppy runs off and they set off to find him. Once they find the puppy, he’s under a tree that the child declares to be the perfect Christmas tree. Uh oh. This is a recapitulation of the hook. For those of you who know music theory, a recapitulation repeats the theme of the initial exposition. Remember the hook? Juliette does not want a Christmas tree. Suffice it to say, this sets off her withdrawal and during that time, she begins to realize that she is the one ruining everything. [This is the so-called midpoint moment when the protagonist discovers something that changes the course of the story]. From there, we have an accelerated series of attempts and backtracks as Juliette and Gabe dance around. However, there is a difference. This is the second half, where the protagonist has knowledge and is actively trying to solve her problems. Juliette is now making overtures to Gabe and he has withdrawn, having already made the decision to proceed with the divorce. Once her husband rejects her underhanded way of getting him back, she has to face the truth and make real change. The rest of the story shows the protagonist single-mindedly going forward, making the changes she needs to confront her demons at the climax. In Chapter 10, Juliette fixes Christmas Eve breakfast and the four of them enjoy a wonderful day. These are the events that lead to the climax which is Christmas morning, when the power comes back on and … Well, I’m not going to give the story away. 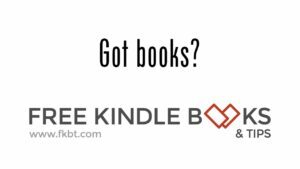 The next day, Monday, I breezed through the entire first half of the book and into part of the second half, from the inciting incident to the midpoint reversal and into part of the recovery phase. Chapters 2-7 (roughly 10200 words). The story was still brewing in my head and every time I would go upstairs to go to sleep, I’d jot down something I thought up. On Tuesday, I went walking with my friend in the morning, obviously talking about my story, and then wrote the rest of the 8000 words, finishing in the evening, and well within 48 hours of my start for a total of 20,000 words. Because I’m a pantser, I didn’t mark milestones where I said, this has to happen, and that has to happen. I had an inkling of the goal posts, without knowing exactly how I was going to hit it. Admittedly, I knew the first one was the power outage and iced up car. But the midpoint 50% and crisis 75% mark seemed to follow naturally. I was aware of them, but did not plan for it. You might work differently, of course, and it’s always good to jot down what you think those milestones should be to keep yourself on track. I started with a couple who knew each other already. Second Chance romance works faster than Love at First Sight where you have to establish the basis for a couple to be attracted and then decide to pursue a relationship. I created a tight lock in. What could be tighter than being snowed in or marooned together? I threw in a catalyst to stir their feelings. An orphan boy and a stray dog. Tugs at the heart and helps them see the good in each other despite their conflicts. The remote location and being snowed in allowed for crisis situations to drive toward important milestones. This is external conflict pushing the characters to expose their internal conflict. Finally, Christmas is an emotional holiday and one where people try to create good times. It can also be a time of family confrontation. The backdrop of the holidays allowed me to push the timeline. Christmas is coming. The clock doesn’t stop. In the end, my characters go back to the normal world, i.e. home, and they are changed, transformed by their experience at the remote mountain cabin. So, this, in a nutshell, is how I wrote a 20,000 word novella in 48 hours. 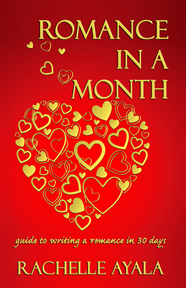 If you're interested in learning how to write Romances in a month or two or three, check out my book, Romance In A Month, where I go into details of using a combination of tropes (common romantic themes and plot points) and character development to successfully write and finish your romance novel or novella in a short period of time. It was an awesome story! So glad I get to read things early! Great job! You're welcome. I think the principles of Romance In A Month are really helping me to get through stories faster, although not every story is as easy as this one. some of them take much longer to percolate. Thanks for reading early!